Feed. Educate. Empower. Donate.Jordan Matthews is working to FEED communities. 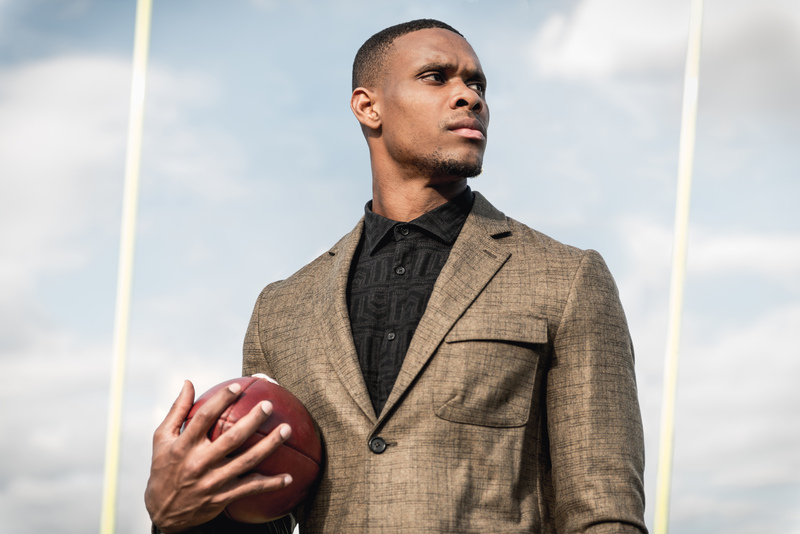 Jordan Matthews established Matthews Mission in 2016 to give back to the communities that have shaped him as an athlete, teammate, friend and citizen. Matthews Mission central theme is to work with these communities to FEED: Feed the hungry, Educate the children, Empower the family and Donate to those in need. Jordan not only supports Matthews Mission financially but provides input on all major decisions and constantly seeks new opportunities and organizations to further the FEED initiative. Your endless support through sponsorships, donations and your time will positively impact many lives for years to come. We personally thank you for enriching the lives of others through your endless support. Signature EventsOur events help us to positively impact many lives. NASHVILLE, Tenn. – Vanderbilt athletes teamed up with community leaders to raise money for a good cause. The second-ever Vanderbilt Legends Charity Softball Game was held [Saturday, July 7] at Hawkins Field. It started with a home run derby that was followed by the game. The game featured stars from the university’s football, basketball, and tennis programs, including Jordan Matthews, Jordan Rodgers, and Jay Cutler. Participants said it was a great opportunity to have fun and give back to the community. Additional past events include the 2017 Vanderbilt Legends Charity Basketball Game and the 7-on7 Flag Football Challenge hosted in 2016. SponsorsThe people that helped to make it happen. Help Support Our Mission to FEED CommunitiesMake a gift to Matthews Mission today. Matthews Mission is a component fund of The Community Foundation of Middle Tennessee. Clicking the “Donate” button will take you to the Matthews Mission portal on The Community Foundation’s website. Your generous donation will benefit Matthews Mission’s initiative in helping to FEED our communities. Contact UsInterested in learning more or volunteering? Matthews Mission central theme is to work with these communities to FEED: Feed the hungry, Educate the children, Empower the family and Donate to those in need. © 2018 Matthews Mission. All Rights Reserved.